Repudo ist eine App fürs Mobiltelefon (iPhone & Android) mit der digitale Dateien wie Texte, Fotos, Videos oder Audiobotschaften an einem geografischen Ort hinterlegt werden können. Die Datei kann vom Empfänger nur an diesem bestimmten Ort geladen werden. 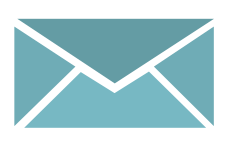 With Repudo you can drop all kinds of multimedia like a text, a photo, a video or an audio message at any location you like. 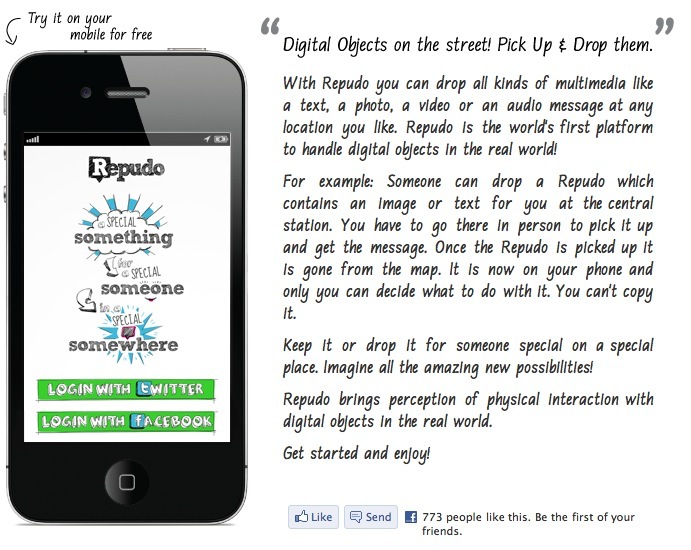 Repudo is the world’s first platform to handle digital objects in the real world! For example: Someone can drop a Repudo which contains an image or text for you at the central station. You have to go there in person to pick it up and get the message. Once the Repudo is picked up it is gone from the map. It is now on your phone and only you can decide what to do with it. You can’t copy it. Keep it or drop it for someone special on a special place. Imagine all the amazing new possibilities! Repudo brings perception of physical interaction with digital objects in the real world. Siehe auch: Tactical Soundgarden oder 7scenes.